Eight members in a family Nathiya, Mohan, Hemanath, Kandan, Krishna, Divya, Lakshmi and Ramya are seated on a circular table and facing towards the centre. There are four males and four females. They belong to different profession. They are Lawyer, Geologist, Architecture, Dentist, Pharmacist, Engineer, Lecturer and Doctor. All the given information is not necessarily in the same order. Krishna who is only grandson of Nathiya sits second to the left of the one who is Architecture. Lakshmi who is geologist sits immediate left of her husband Kandan. 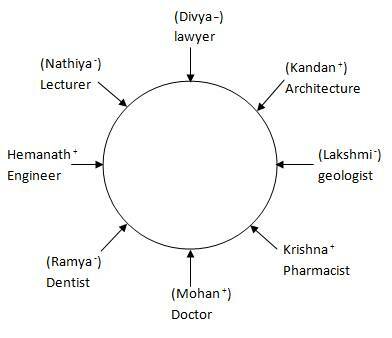 The one who is Brother-in-law of Lakshmi sits third to the right of the one who is Architecture. Mohan who is father of the only two sons sits second to the left of the one who is Geologist. Kandan who is architecture have only one girl child. Hemanath who is brother of Kandan sits immediate left of his wife. Ramya is dentist, who is daughter-in-law of Doctor. The only son of Engineer is Pharmacist. Lawyer is not a spouse of Doctor. Granddaughter and Grandmother sit together. The one who is Lecturer sits second to the left of the one who is Dentist. Not more than three persons from same gender sit together. 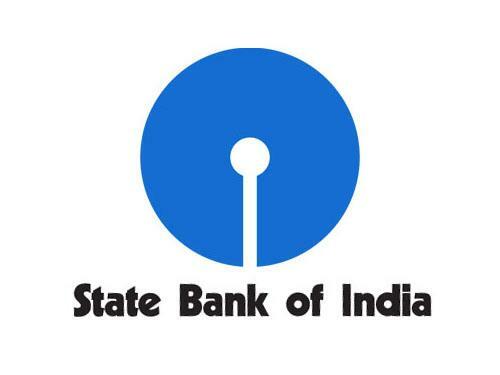 Q.1) Who is mother-in-law of Ramya? Q.2) who sits immediate right of Pharmacist? Q.3) How Lawyer is related to Hemanath? Q.4) Four of the following five are alike in a certain way based on the given arrangement and thus form a group. Which is the one that does not belong to that group? Q.5) Who sits third to the left of Lawyer? D.6-10) Study the following information carefully and answer the given questions. 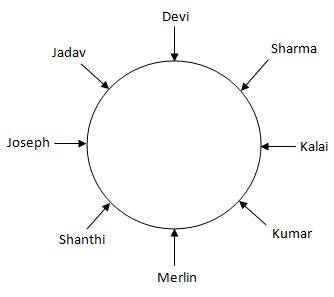 Eight persons Kalai, Shanthi, Joseph, Merlin, Devi, Kumar, Sharma and Jadav are sit in a circular table and all of them facing center. The distances between the friends are equal. All the above information is not necessarily in the same order. Devi sits third to the right of Kumar who is not immediate neighbour of Shanthi. Sharma sits third to the left of Joseph. iii. Only two persons sit between Merlin and Jadav. One person sits between Jadav and Sharma. Shanthi is not an immediate neighbour of Kalai. Sharma and Shanthi are facing each other. Kalai and Kumar are immediate neighbours. Q.6) Who among the following person sits opposite to Devi? Q.7) What is the position of Kalai with respect to Shanthi? Q.8) If Sharma is related to Devi in a certain way and in a same way Shanthi is related to Merlin then which of the following person is related to Kalai? Q.9) If the persons are numbered one to eight start from Merlin then the even numbered persons are facing outside then who sits third to the left of Jadav? Q.10) From the above question which of the following persons are odd numbered persons? D.11-15) Study the following information carefully and answer the given questions. Eight teams India, Pakistan, Sri Lanka, Bangladesh, New Zealand, South Africa, Australia and England are participating in ICC Champions Trophy 2017. 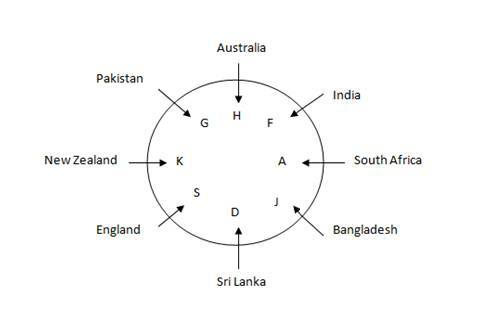 Each team captains A, S, D, F, G, H, J and K are sitting around the circular table and facing the centre but not necessarily in the same order. J sits third to left of the captain of Australia. The captain of Pakistan sits second to the right of F, who is not the captain of Bangladesh. D is immediate neighbour of the captains of Bangladesh and England. G sits third to the right of A, who is captain of South Africa. H sits opposite to the captain of Sri Lanka. S is captain of England. G and H are not the captains of either Bangladesh or Sri Lanka. K is captain of New Zealand and sits second to the left of D.
Q.11) Who is the captain of India? Q.12) What is the position of S with respect to J? Q.13) How many captains are sitting between F and K, when counted in clock wise direction from F? Q.14) Which one of the following statement is true? 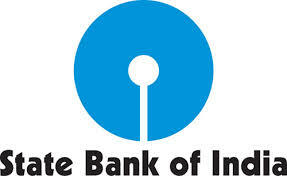 Q.15) H is the captain of which of the following team?